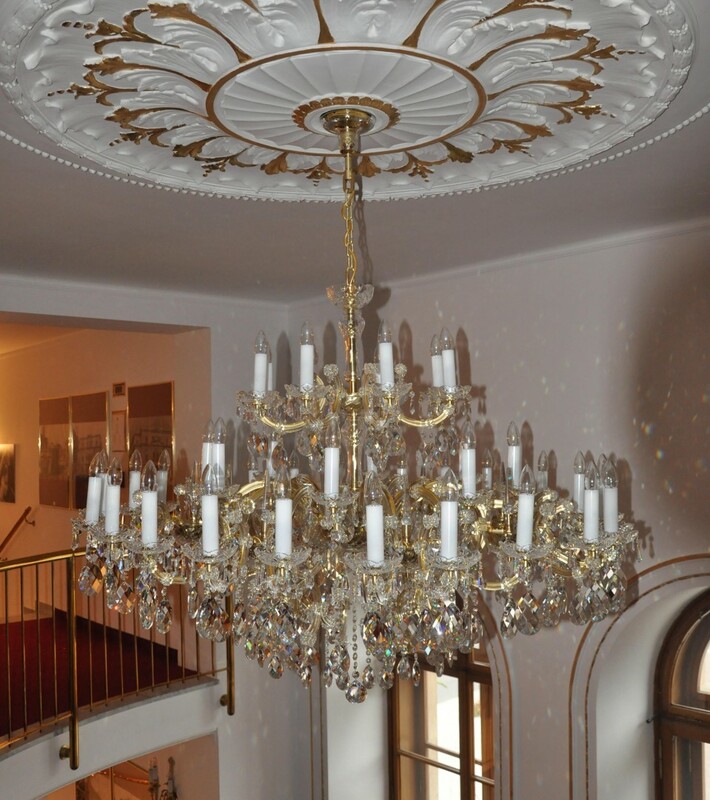 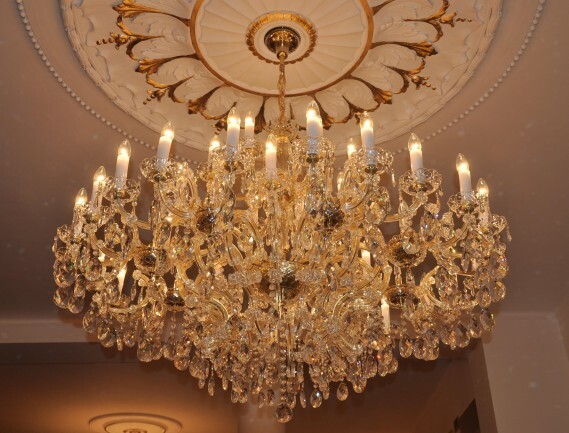 The large custom-made crystal Theresian chandelier made for Slezke Theater in Opava city. 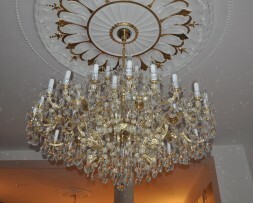 Sizes: (W x H) 140 x 89 cm (measured without the chain). 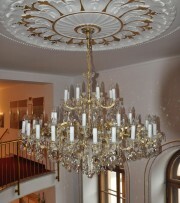 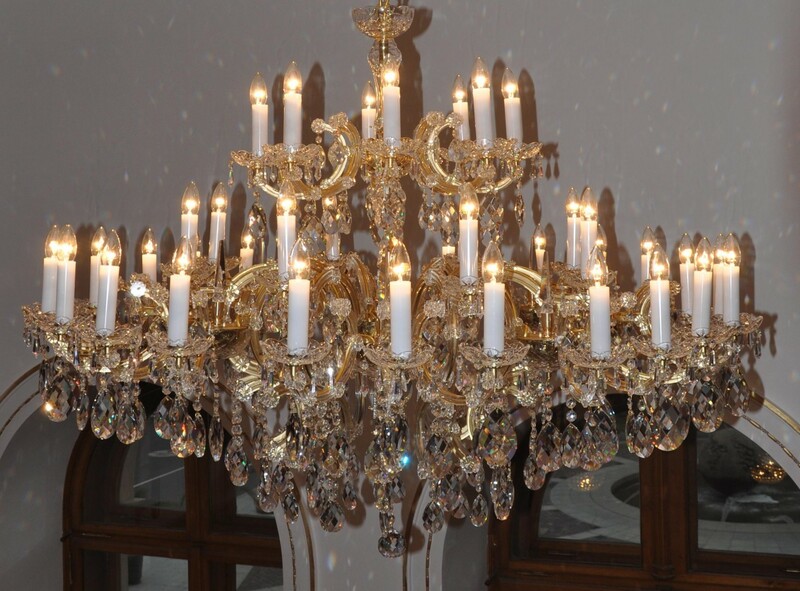 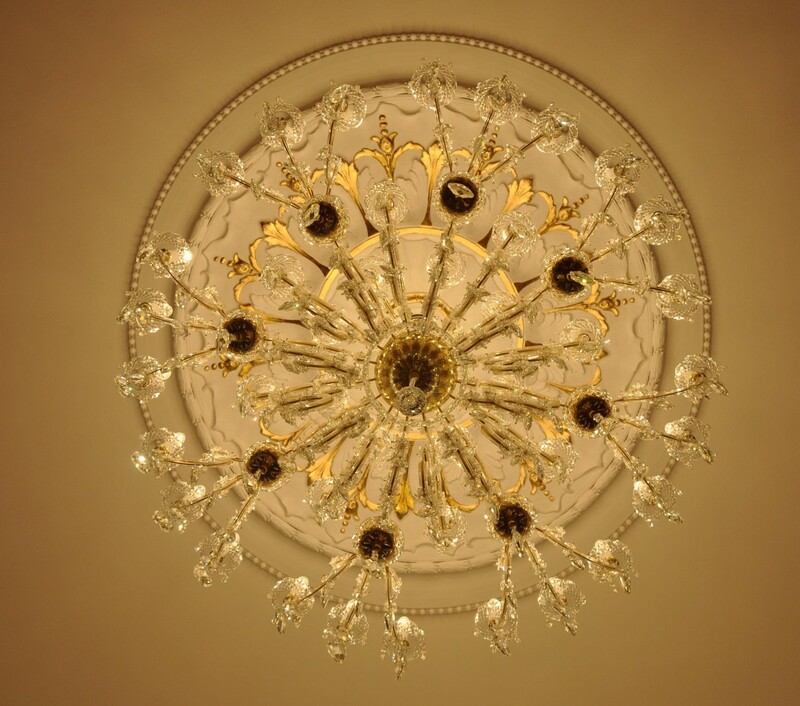 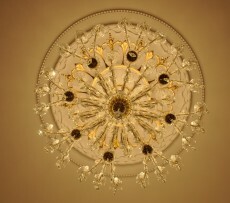 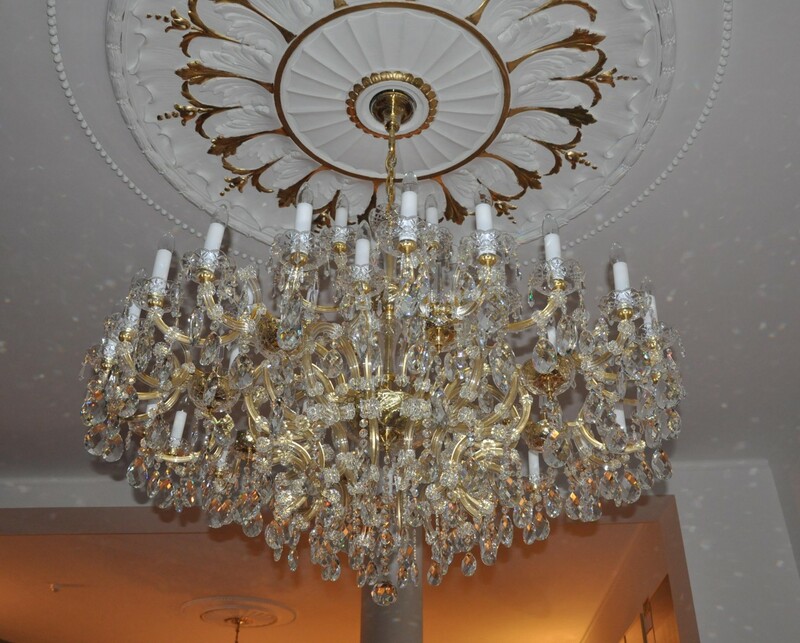 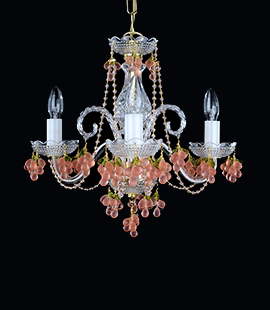 The decoration of the chandelier includes 8 pieces of crystal cut spikes (Bowls around the perimeter). 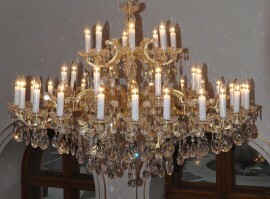 All glass parts are made of hand blown and hand cut crystal glass.